MISSISSAUGA, ON, March 14, 2018 /CNW/ – In support of Canada’s commitment to the World Health Organization’s (WHO) goal of eliminating chronic hepatitis C infection by 2030, Gilead Sciences Canada, Inc. (Gilead Canada) today announced a series of grants to support screening and linkage to care projects across Canada. These initiatives will focus on hepatitis C screening within high-risk patient populations and linking diagnosed patients to care. 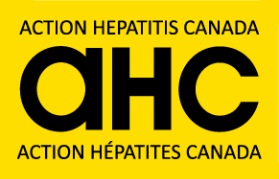 In total, 13 Hepatitis C Micro-Elimination Grants have been awarded to projects to be conducted among targeted high-risk populations including immigrants, prisoners, First Nations, people with HIV infection, and people who inject drugs. One grant to The Ottawa Hospital Viral Hepatitis Program will aim to identify and care for people with hepatitis C who currently reside in a correctional facility, and then continue care after their release. The incidence and prevalence of hepatitis C in a correctional setting is high, and people with hepatitis C have limited access to treatment, or experience a loss of care once released. As part of the project, multidisciplinary professionals at a regional correctional centre will screen residents for hepatitis C and provide access to care. A model will be developed that can be replicated in other correctional facilities as part of the provincial hepatitis C elimination strategy. Grant recipients were recognized based on their ability to demonstrate a plan to deliver new local micro-elimination projects focused on targeted, integrated and locally-based initiatives, in high prevalence areas or settings that increase hepatitis C prevention, screening, diagnosis and linkage to care. “Gilead Canada is pleased to support these innovative and exciting hepatitis C initiatives and these passionate and exemplary leaders. We look forward to hearing the outcomes of the projects later in the year, and we hope that hepatitis C community leaders may be able to implement similar projects in their local communities across the country,” added Brysting.